Bank of Baroda has released the 600 Probationary Officer Posts notification. That Bank of Baroda PO Recruitment 2018 details are given check. Check that details and apply for this BOB PO 2018 Manipal vacancies from 12th June to 2nd July 2018 @bankofbaroda.co.in. This Bank Of Baroda PO PGDBF Manipal Examination will be conducting on 28th July 2018. Bank aspirants, here is the very latest Bank job notification. This notification is from the side of Bank of Baroda. That notification advertisement is titled with “Bank of Baroda Recruitment 2018″. Through this recruitment update, the officials addresses about the 600 Probationary Officer Posts. cannot this a good news to you? This is like an giving opportunity for the bank job alerts waiting candidates. Here through this BOB PO Manipal Exam, selected candidate will be given the PGDBF training at the Manipal University. From there, you will get the posting as Probationary Officer in Junior Management Grade / Scale-I. 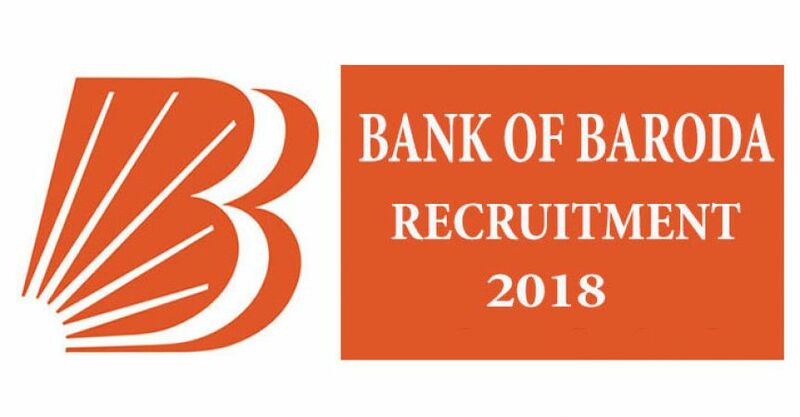 Are you ready for this Bank of Baroda PO Recruitment 2018? Then study the eligibility criteria and apply. Bank of Baroda has published the Bank of Baroda PO Recruitment 2018 Notification for 600 Probationary Officer Posts. Actually what we can say is, this Bank of Baroda Probationary Officer Recruitment is an excellent propose for the bank job competitive exam preparing candidates. Compared to other bank jobs, the chances of getting the bank job through this BOB PO Manipal Notification is high. With some an extra effort of preparation, even an average knowledge candidate can crack this job. Hence candidates don’t wait for the upcoming bank job notifications (may be that job notifications may release or not ), just use the opportunity which is present at your hands now. In this Bank of Baroda Probationary Officer Advertisement, the major details explained by the bank are which educational qualifications completed candidates are eligible, maximum age limit, category-wise vacancy details, how the candidates will be engaged into the 600 Probationary Officer Posts, about the amount of application fees amount. These mentioned details are needed by any candidate who are going to apply for BOB PO Manipal Vacancies. After checking of all these details, then only the candidates will get to the conclusion of either to register for the Probationary Officer Jobs. So in the form of this page, presenting all the Bank of Baroda PO Recruitment details to save the viewer time. Also we have updated the latest BOB PO Syllabus for your sake, so download that syllabus also. The above mentioned points are the eligibility norms that has to be accepted by the applicants who are participating the BOB PO 2018 Recruitment Process. Any kind of excuses will not allow to the application filling candidates. All should obey the conditions and has to complete the details registration process of Bank of Baroda PO Recruitment on or before the last date i.e. 2nd July 2018. Strictly Bank of Baroda recruitment panel passes a rule that willing postulants should submit the application form according to instructions stated in the PO notification form. If you violate that rules, then your application form will not be considered at any cost. Check out the latest Recruitments in India from our site. For the Probationary Officer vacancies in Bank of Baroda the qualification is Graduation in any discipline from a recognized university with minimum 55% percentage. The selected candidates for this BOB PO Manipal, the salary range is Rs. 23700-980×7/30560-1145×2/32850-1310×7/42020. During the joining time as PO in BOB, the basic pay is Rs. 23700/-. After one year completion, increment will be there. Bank Of Baroda PO Application Link @bankofbaroda.co.in. It is going to open before the end of the day of 12th June 2018. Applicants has to avail that link in order to complete the application submission before 2nd July 2018 closing time. Immediately with in short time, this Bank of Baroda Probationary Officer(PO) Manipal Exam is planned, the date is 28th July 2018. With the full practice of previous papers, attend that exam. Use this Bank of Baroda PO Recruitment properly to achieve the dream job in banking sector. Apply for this BOB PO Manipal Exam in the initial days of link activation only. How to Apply for Bank of Baroda PO Recruitment 2018? Download Advertisement of Probationary Officer in Junior Management Grade / Scale-I. Check all the Eligibility details. After that fill the application. Submit the complete application form after completer checking of details. Save the submitted application Form for future reference.